One of the most unconventional and courageous explorers of her time, Freya Stark chronicled her extraordinary Travels in the Near East, establishing herself as a twentieth century heroine. 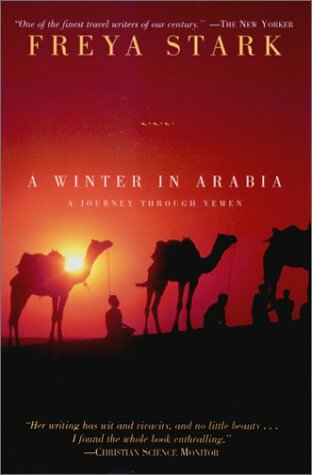 A Winter in Arabia recounts her 1937-8 expedition in what is now Yemen, a journey which helped secure her reputation not only as a great travel writer, but also as a first-rate geographer, historian, and archaeologist. There, in the land whose "nakedness is clothed in shreds of departed splendor," she and two companions spent a winter in search of an ancient South Arabian city. Offering rare glimpses of life behind the veil-the subtleties of business and social conduct, the elaborate beauty rituals of the women, and the bitter animosities between rival tribes, Freya Stark conveys the "perpetual charm of Arabia ... that the traveler finds his own level there simply as a human being."